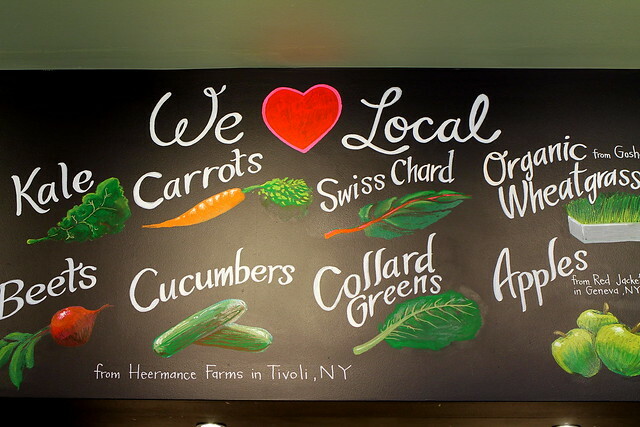 We were coming to the end of our epic New York adventure, but there was a couple more things we wanted to tick of the to do list. 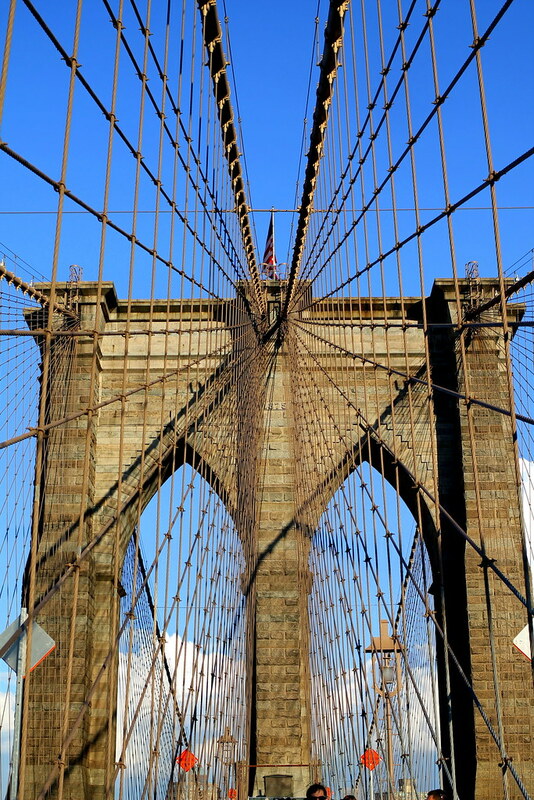 The first was to cross the Brooklyn bridge and the second was to walk the Highline. Luckily we had the weather on our side, so we decided to just walk the entire thing. 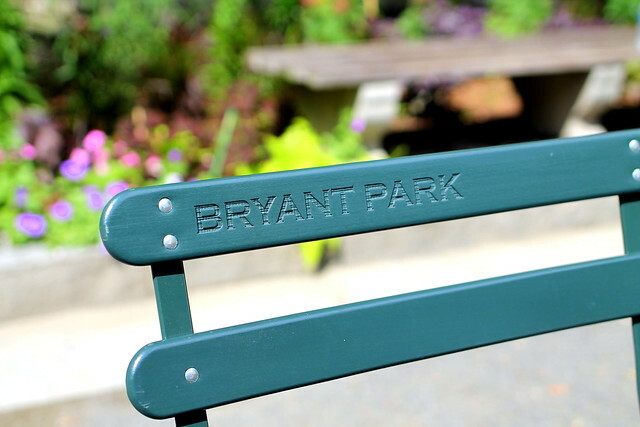 First passing through my favorite little spot, Byrant Park. 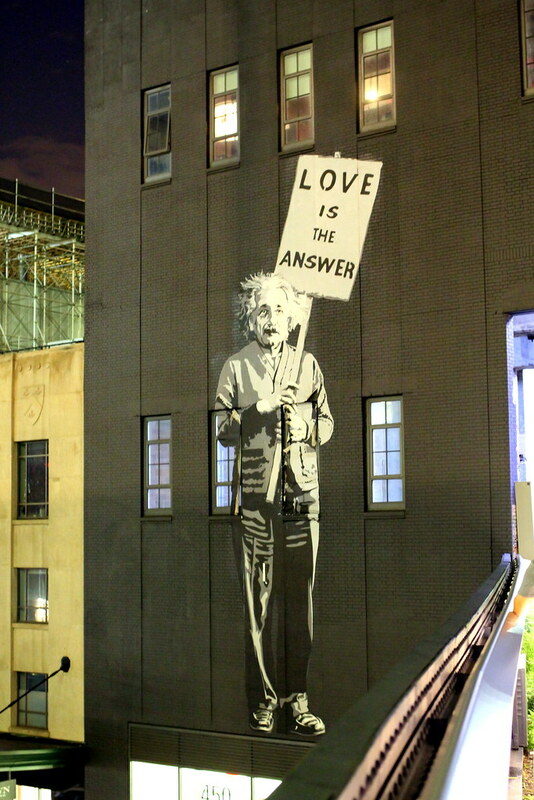 When you walk the streets in no real rush you see things you didn't expect to see. Take the Flatiron building. 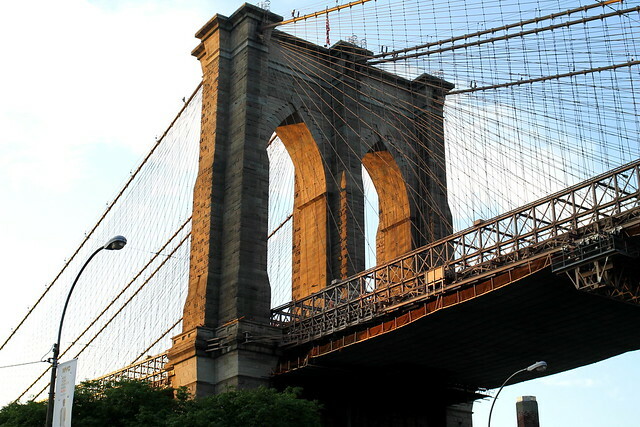 I knew about it and had seen pictures of it, but we randomly stumbled across it on our route to Brooklyn. 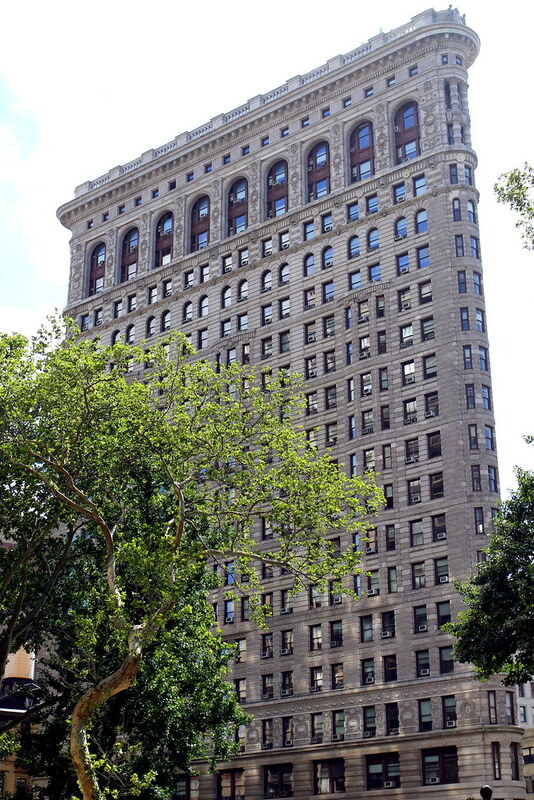 The Flatiron is such an iconic building that in 1989 it was made a National Historic Landmark. 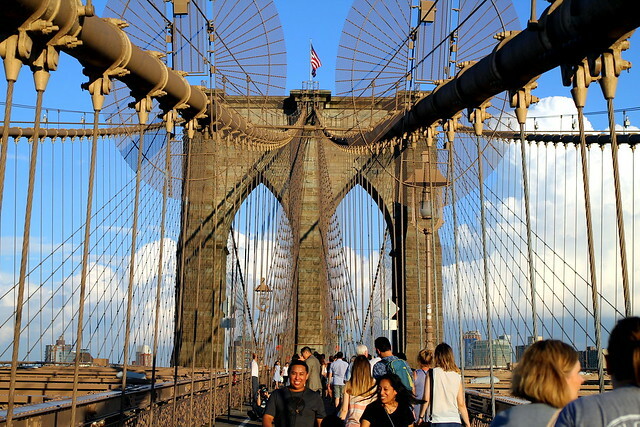 We carried on walking, but we were starting to flag under the New York heat. 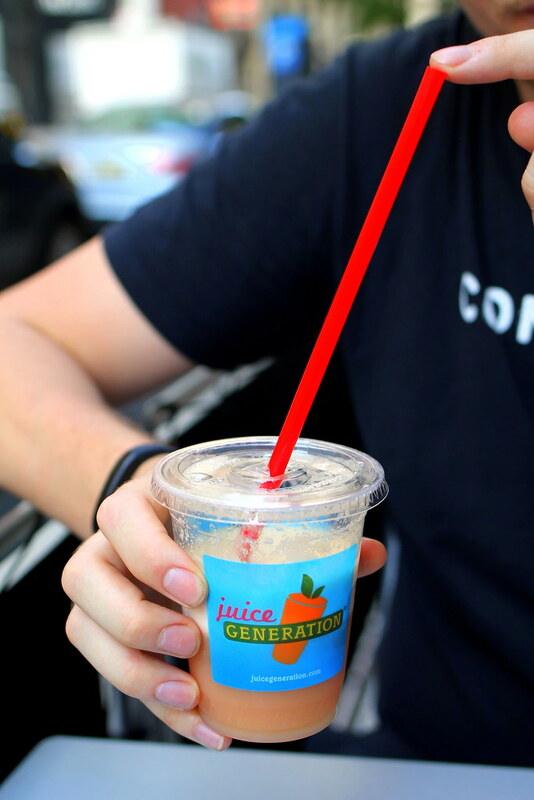 This is how we came to stumble upon Juice Generation, an uber fun juice bar, which I just happened to see on Instagram that Edward Norton is a fan, which is coincidence as I happen to have just watched Fight Club just before writing this post. Spooky. I'm really getting into juices at the moment, with Dan being the one encouraging me to juice my greens. 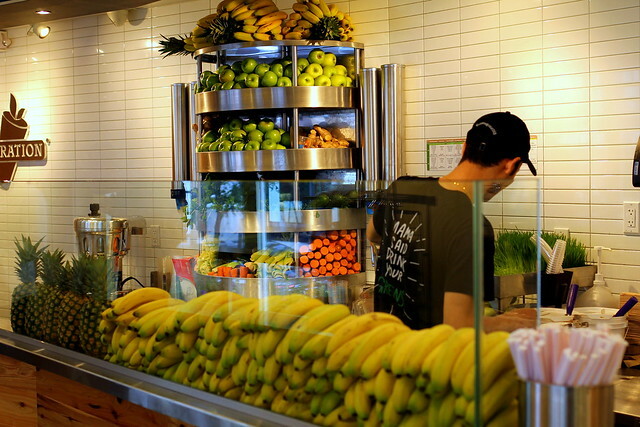 He's been making this green juice which I really need to get into more. Do you juice? What recipes do you like? 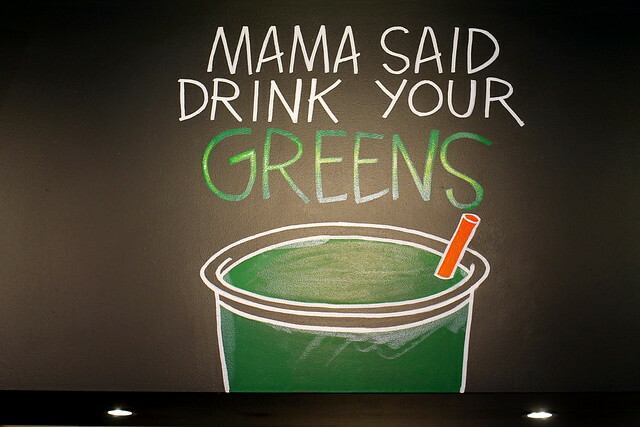 Correction, Dan says drink your greens. We both went for the Daily Detox, a mixture of carrot, cucumber, apple, lemon and ginger. I have to say it was one of the best juices I've had in forever. We both really wanted to order another, and I wish we had. With new energy we trekked on until we reached our goal. 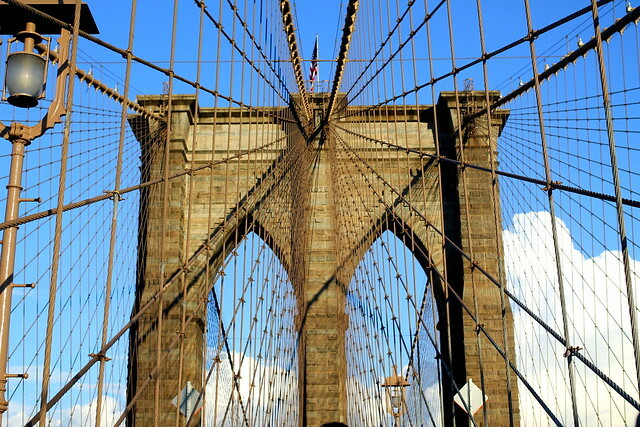 Suddenly upon us was the Brooklyn bridge. A huge construction, that was rather imposing and rather busy. 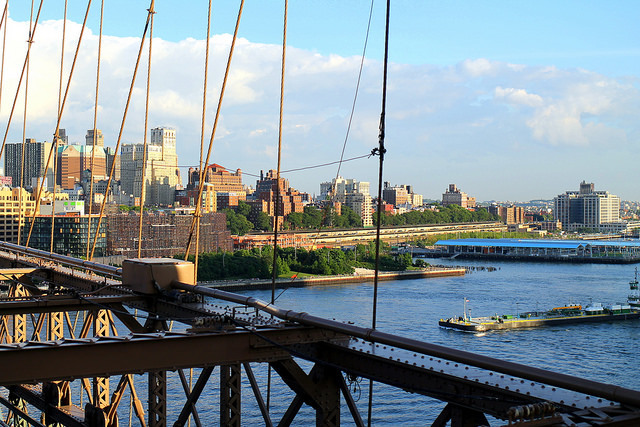 Tourist-y as hell, but it does give you great views out over the river- a new angle to New York I hadn't seen yet. The view from the streets of Brooklyn. 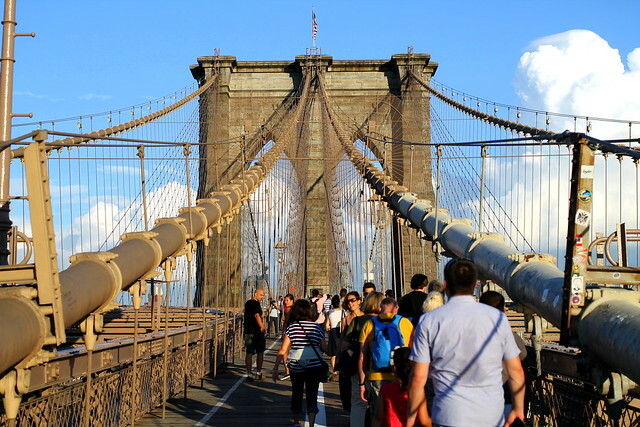 We planned to stay around in Brooklyn but noticing the time we suddenly realized that we had taken out sweet time getting there. 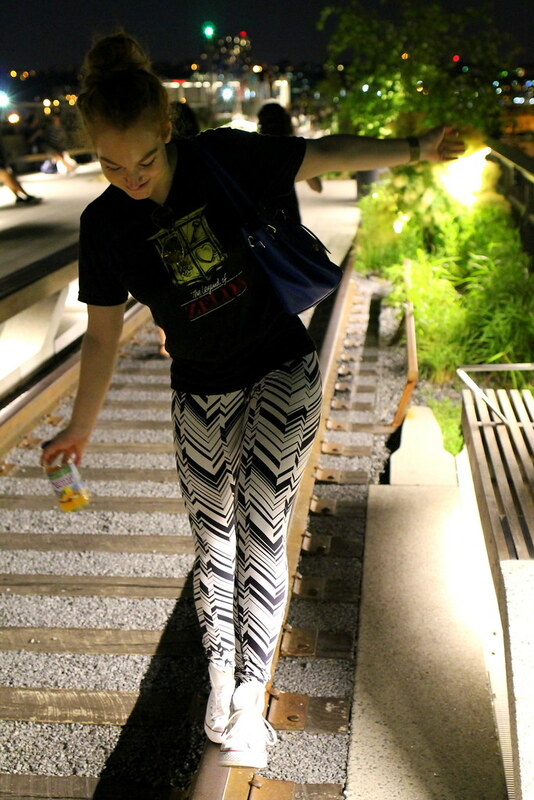 So back we went as we wanted to catch the Highline before it closed. When we finally got there- they are not close- night had fell. But you know what? I think that is even better time to come. All lit up, it's rather enchanting. 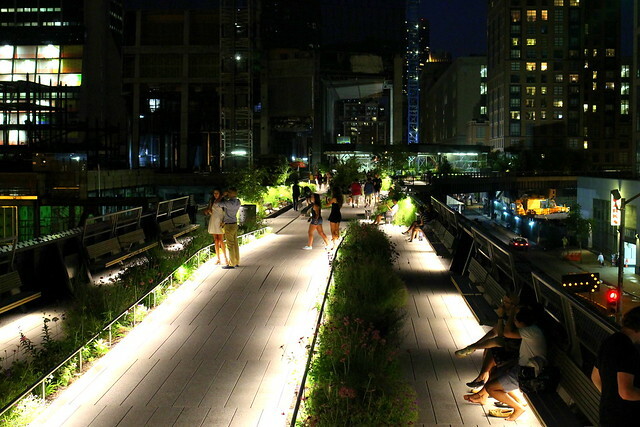 The Highline is a linear park built on an elevated section of a disused New York Central Railroad and walking along, the trees and flowers lit up in little garden lights was rather beautiful. 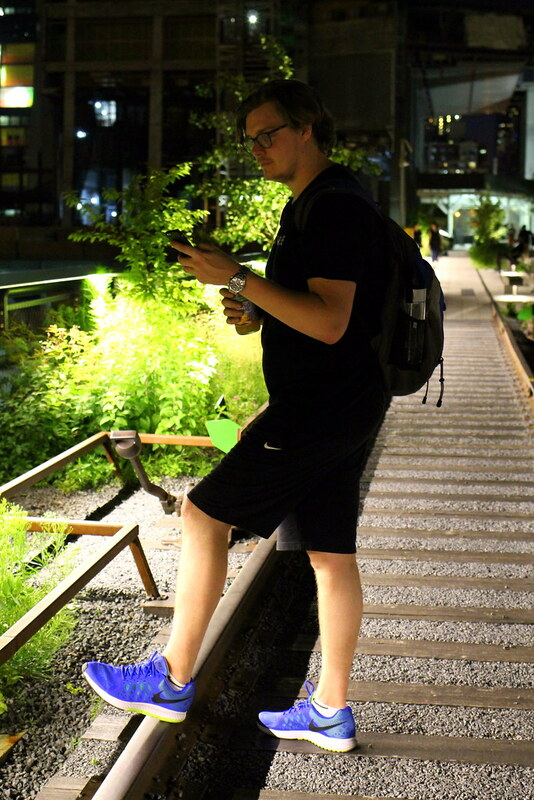 It's a great place to come and chill out, but it's also a more attractive way to get from one area to the other as their are exit stairs dotted along the walk. In this case we were using it to walk to our dinner reservation. 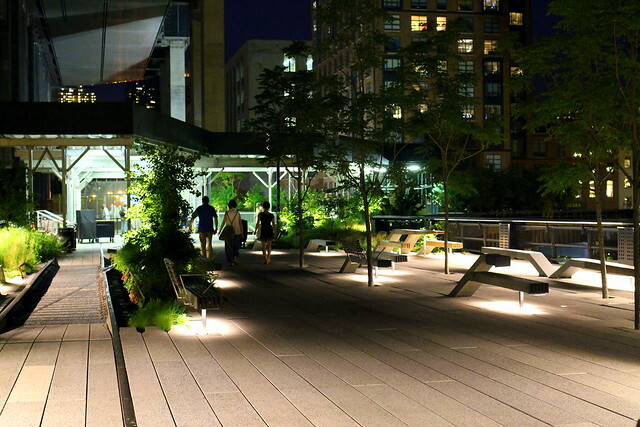 It's also a great spot to let the inner child roam free. 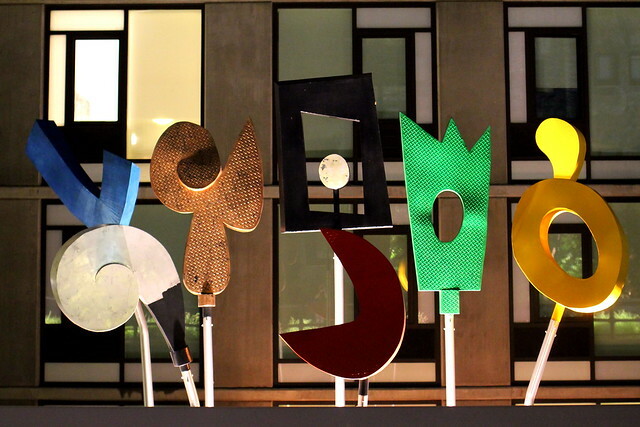 As well as trees and plants, there is also quirky art from some of New York's artists. I particularly loved this one. 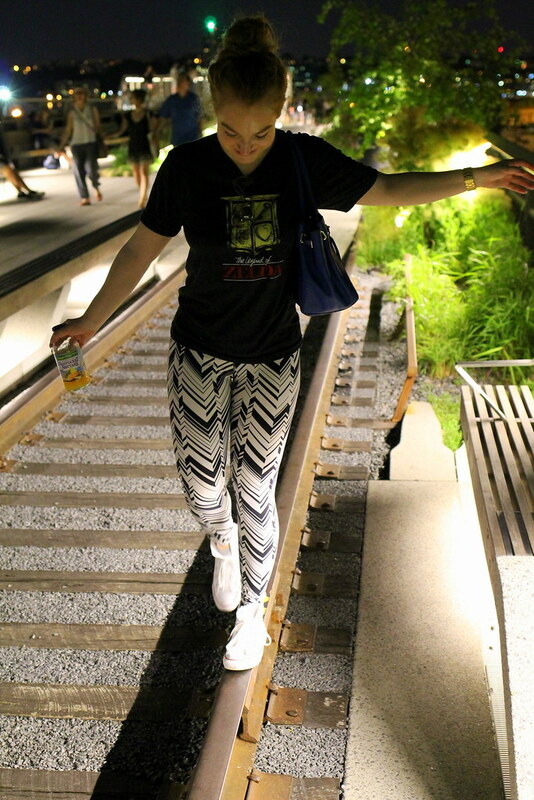 By the time we finished walking, it was getting on towards 11pm. Normally this might be a problem for dinner but not at Cafeteria. Open 24 hours a day, 7 days a week it is the ultimate last minute, late night dinner savior. 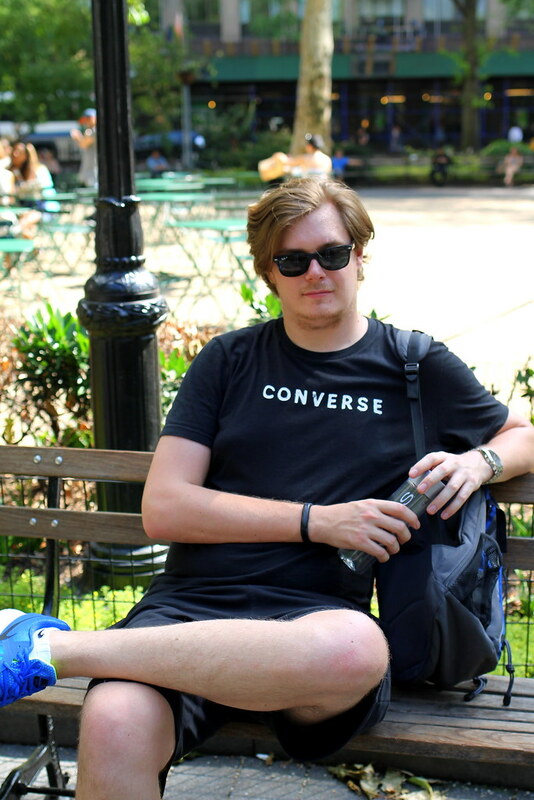 Quirky is the word to use here. From the menu's to the waiters with their tattoo's and grungy attire, it's rather fantastic. Complementary biscuits are brought to the table. 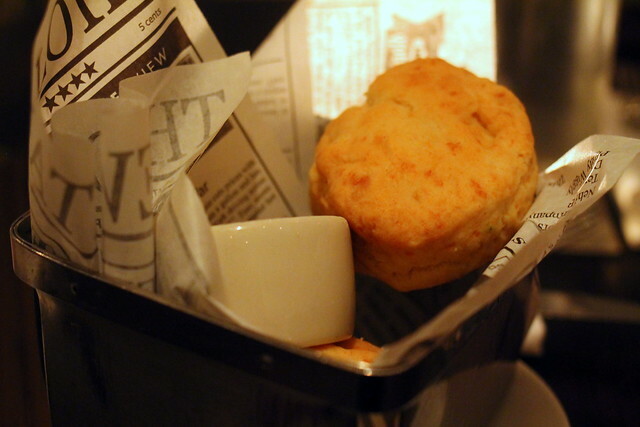 I still can't wrap my head around my beloved English scones being turned savory with weird gravy stuff being topped. It's sacrilege. The Queen would have a fit. However what isn't sacrilege is the food. 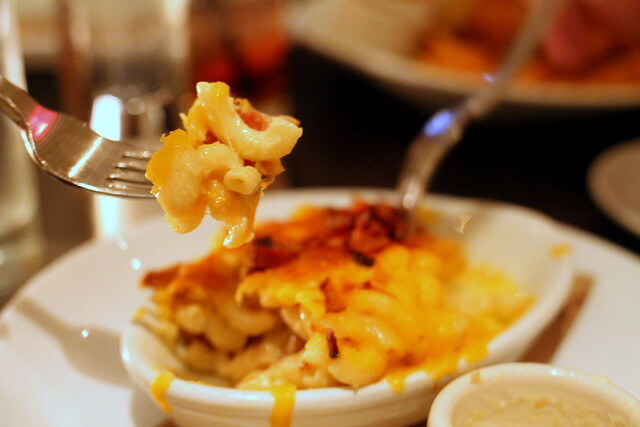 If you love Mac and Cheese then this is your place. There is a whole section dedicated to the stuff. 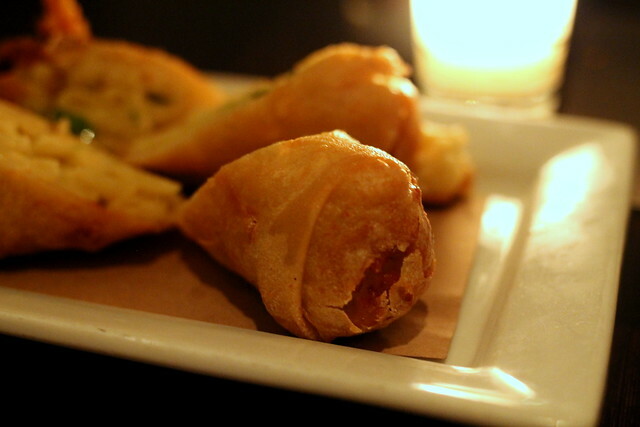 However if you really want to go to town, I recommend the Mac and Cheese Spring rolls. 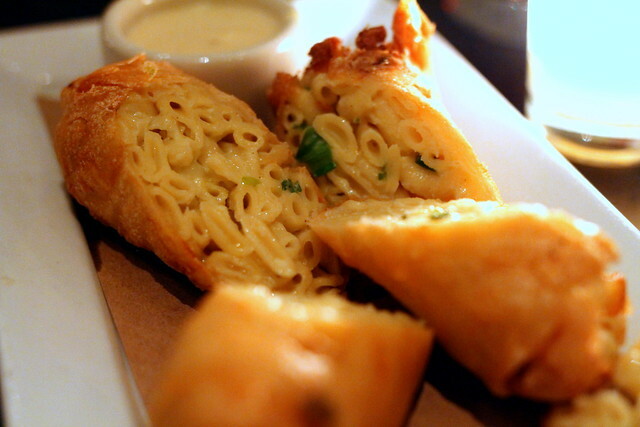 Yes you read that right, Mac and Cheese SPRING ROLLS! 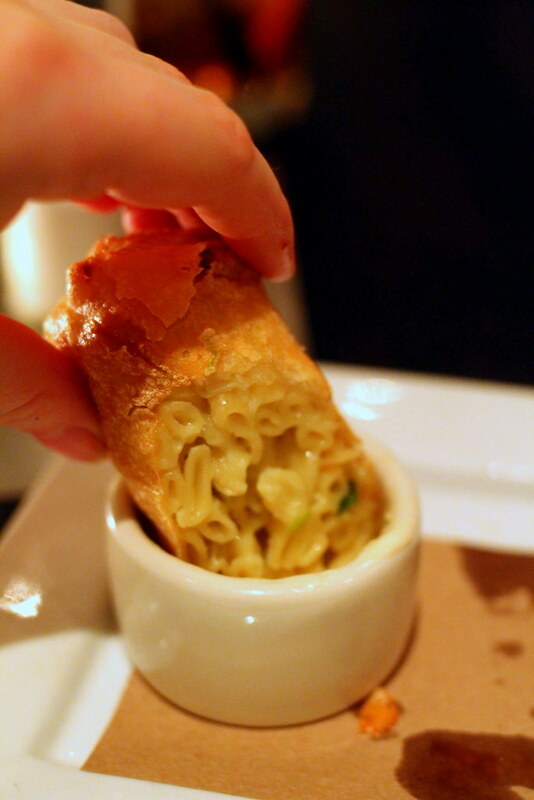 Mac and Cheese wrapped in that pasty you get on a traditional spring roll. So wrong, but boy so amazingly good! 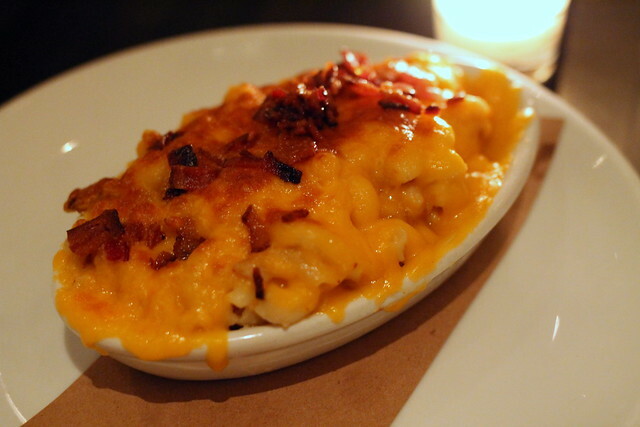 If that wasn't enough, we also went for Smoked Gouda and Bacon, because you can never have enough Mac and Cheese. 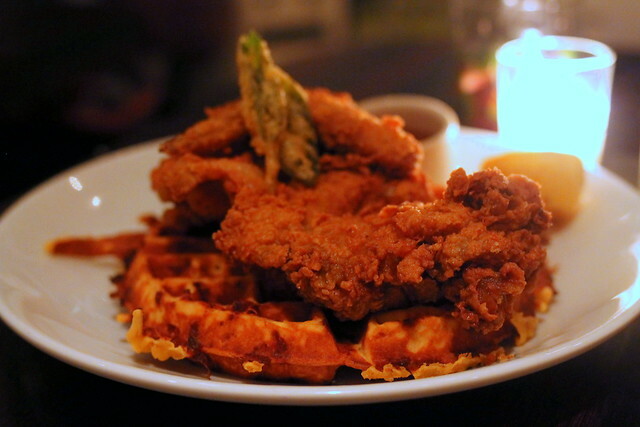 For mains, we both decided to try the American classic of fried chicken on waffles. So weird, and whilst personally I think the dish tastes a little odd too- nothing to do with Cafeteria as I've had it before at London's The Diner and so it's just a general feeling- however it does have that guilty pleasure about it. 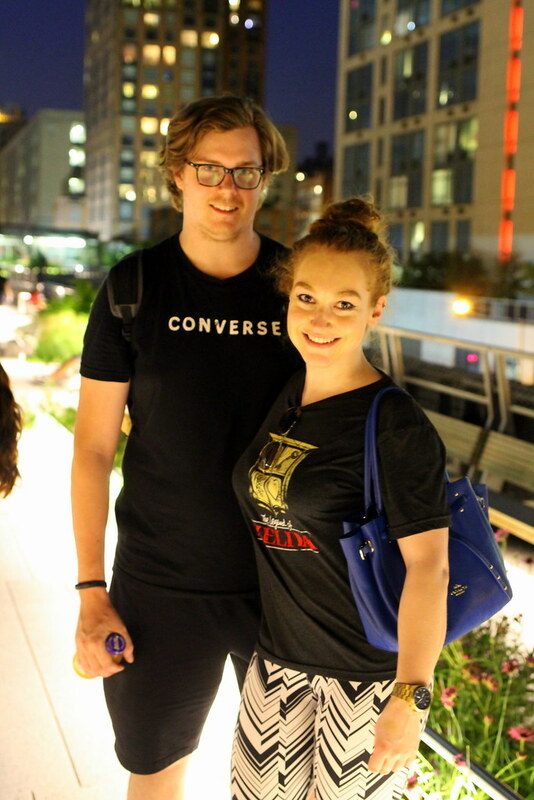 After the truly American feast, we literally hobbled out, clutching our full but happy bellies. After all the walking, I think we deserved the cab back. That mac and cheese - OMG! 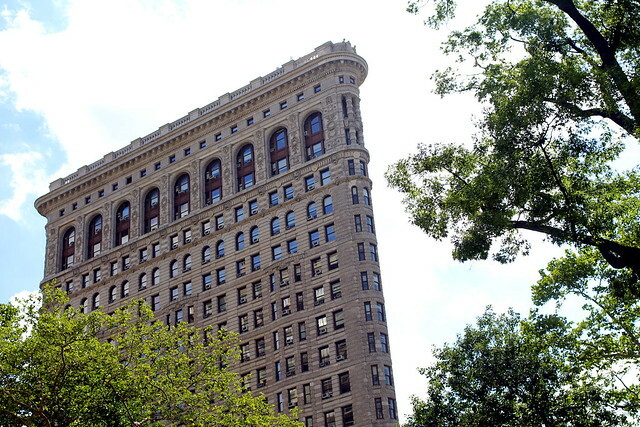 I had no idea the flat iron building existed before this post and it looks so cool! 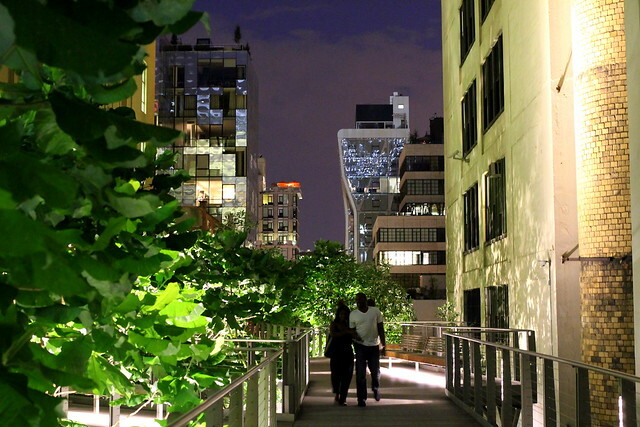 Something else to add to my never ending list of things to do in NY! Oh my gosh, I am a mac & cheese lover and that place looks like my idea of HEAVEN! Incredible! 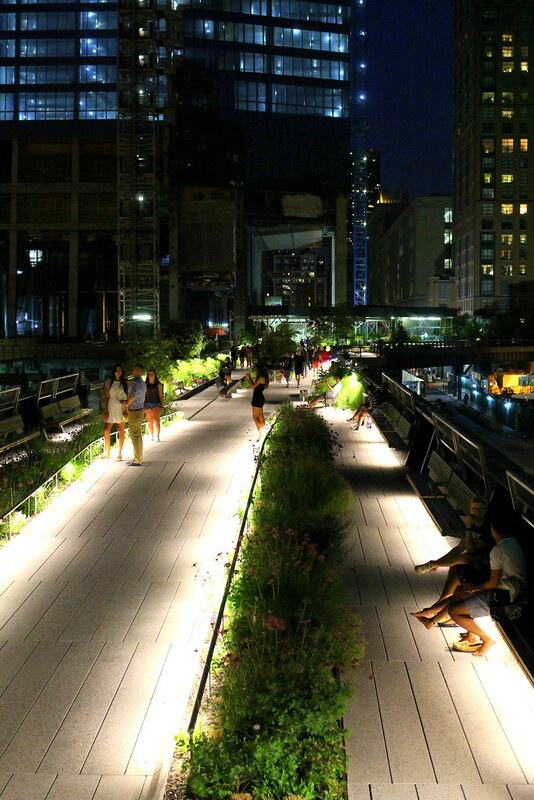 We did the Highline during the day last time I was in NY but it looks considerably quieter in your photos than when we were there, so maybe evening is the time to go! 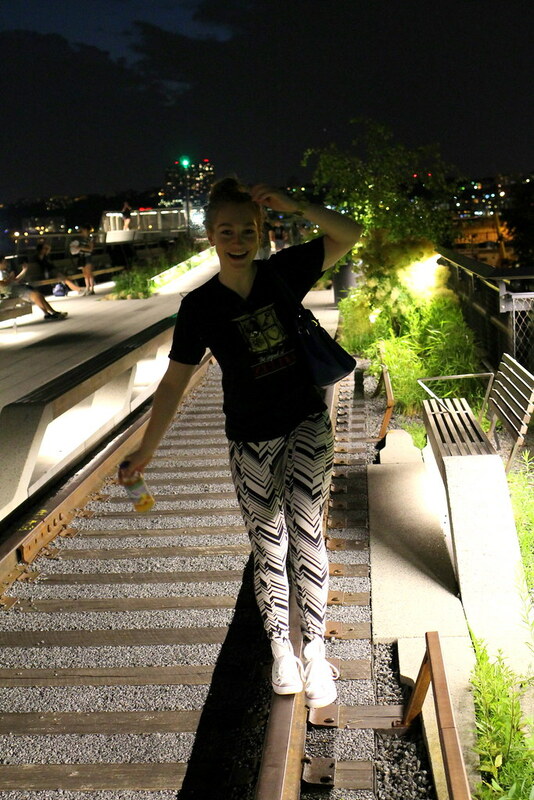 I love the High Line, it's fantastic, and I've walked it both day and night (the best time was when I saw the full moon rising with the alignments just right so that it came up alongside the Empire State Building). 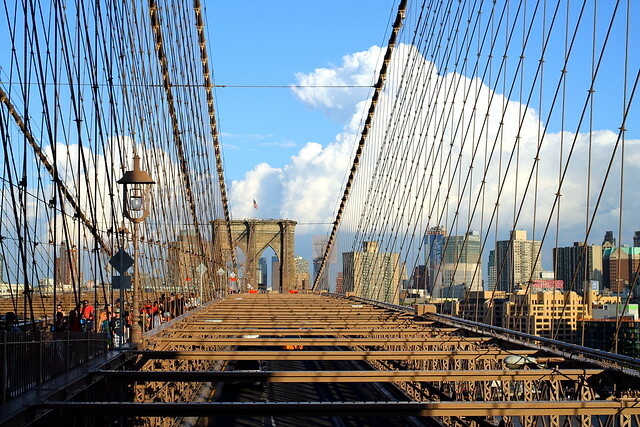 I also stay in Chinatown when I'm in New York, very near the Manhattan Bridge, so I always try to walk over to Brooklyn, usually out along the Manhattan Bridge and back over the Brooklyn Bridge. 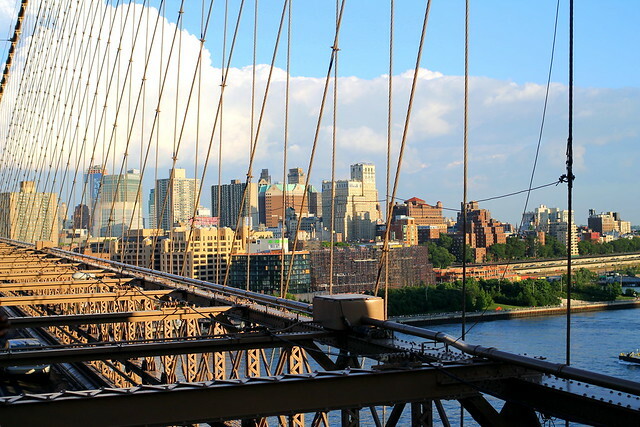 Next time you're in New York, give the Manhattan Bridge a go, it's a very different (and almost entirely tourist-free) experience! The Cafeteria sounds fabulous as well. 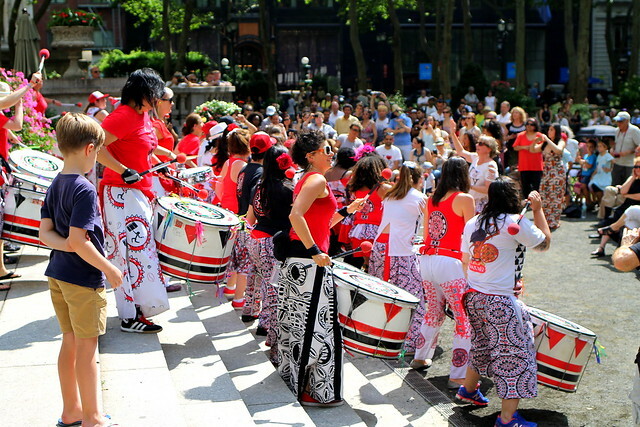 I'll definitely put it on my list for the next time I'm in New York! 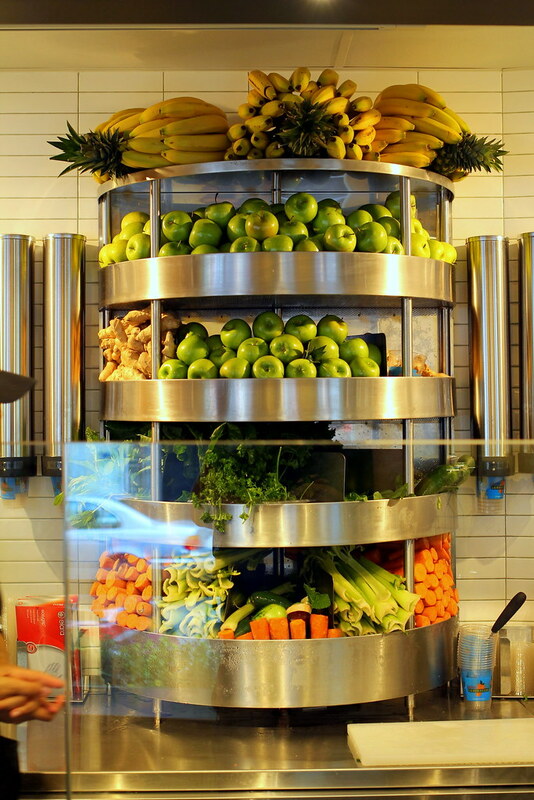 Juice Generation near Flatiron looks cool, did you get to Eataly too? 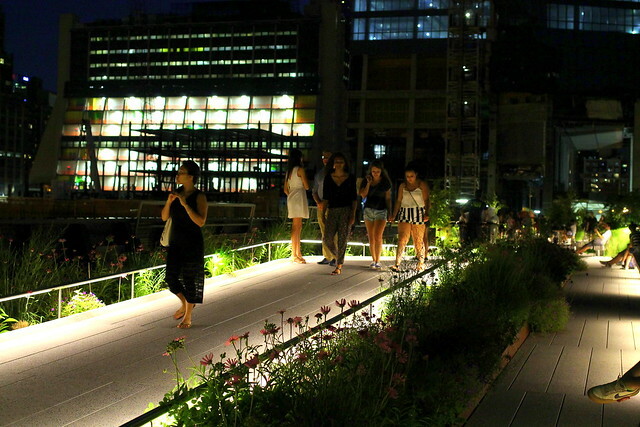 I walked along the Highline two weeks ago and the views of the city were so amazing! I'd never been before but I practically dragged my friend along with me. And that mac n cheese looks so delicious!! A restaurant with a section dedicated to mac n cheese? OH MY foodie heaven! I know what you mean about the chicken and waffles - it's so strange! My mum accidentally ordered this when we were in NYC and we were both pretty baffled. In the end she ended up having the chicken on it's own (plus stealing my fries) and eating the waffle and syrup as a dessert. I felt it might have actually worked a bit better like that, haha!